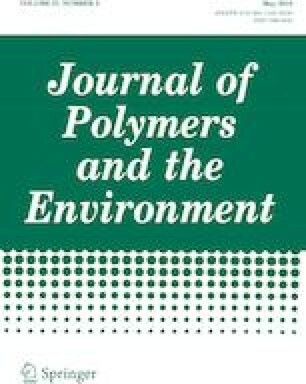 The synergistic effect of nano-zinc oxide (nano-ZnO) on the flame retardancy and thermal stability of intumescent flame retardant ethylene–vinyl acetate (EVA/IFR) consisting of novel hyperbranched triazine-based charring agent (HTCFA) and APP was evaluated by limiting oxygen index (LOI), UL-94 measurement, cone calorimeter test (CCT) and thermogravimetric analysis (TGA), and the residue analysis was also carried out through scanning electron microscopy (SEM), fourier transform infrared (FTIR), laser raman spectroscopy (LRS), and X-ray photoelectron spectroscopy (XPS). The results showed that introducing a certain amount of nano-ZnO could obviously enhance LOI value and UL-94 rating, and effectively restrain the combustion performance of EVA/IFR composites, leading to the decrease of heat and smoke release. The addition of 0.5 wt% nano-ZnO into EVA/IFR composite obtained the highest catalytic effectivity (CAT-EFF). TGA results uncovered a distinct synergistic carbonization effect existed between nano-ZnO and IFR, and nano-ZnO could obviously improve the high-temperature thermal stability and promote the char formation of IFR and EVA/IFR. Analysis of final char residues proved that the incorporation of appropriate amount of nano-ZnO contributed to remaining more P and forming more high-quality graphitization char layers with richer P–O–C and P–N cross-linking structures in condensed phase owing to the catalytic carbonization effect of nano-ZnO on IFR system, which played a critical role in remarkable improvement of flame retardancy and smoke suppression properties of composites. This research was supported by Natural Science Foundation of Beijing Municipality (CN) (2192014).